Wirthmore Antiques is not just another stop in a day of antique shopping in New Orleans or a click of a mouse while browsing the internet. It is an adventure. It was once written that "Visiting Wirthmore is almost like stepping into a Cezanne painting." What sets Wirthmore apart from other antique stores is its pulse and heartbeat inspired by its owner, Gay Wirth. Even when not seen, she is on duty 24-7. She loved what she started 25 years ago, and that flowing heartbeat continues. Even though he had his own business, her late husband, Warren, traveled and worked with her. They explored the nooks and crannies of every region of France, gaining a deep respect for its people and their culture. Gay has continued the tradition. 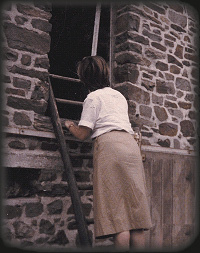 Any given day she might be found climbing a ladder in a centuries-old barn or exploring cellars, always searching for those wonderful treasures. 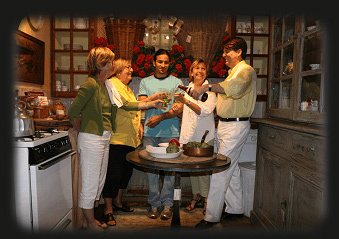 Wirthmore specializes in 18th and 19th century French, Italian and Swedish antiques, all personally selected by Gay. Her heartbeat can be felt in her purchases of all manners of antiques: art, chandeliers, culinary items, façence, lamps, linens, mirrors, porcelain, and wine related articles. Gay's furniture choices feature exquisitely warm, beautiful armoires, buffets, enfilades, and chairs and tables of all descriptions. Her pursuit does not stop with accessories and furniture, as she brings architectural pieces to her shop, including terra cotta flooring, mantels, doors, a nd shutters. Gay has been described as a "Serious Antiquarian—Extremely knowledgeable—who also knows how to mix earthiness and elegance; practical, but refined approach to home furnishings." One of Gay's favorite expressions is "Like irregular French verbs, there is always an exception to the rule, and that fact is evident with French Provincial Furniture." Gay believes that antique purchases should be for a lifetime—like a marriage—and she encourages her customers not to buy something unless they really love it. Her focus is always to treat an antique as a work of art that can be functional at the same time. She loves to educate her customers on how to use free-standing armoires, bonnetières, and buffets à deux corps in unconventional ways, by building them into walls to create unique and functional kitchen or office spaces. If she does not have a particular piece that a customer may need, Gay takes great pleasure in searching for it. Gay's heartbeat and pulse is felt in the hearts of the Wirthmore staff, as they work together as a team to fill the customers' needs. Judy, who has been at Gay's side since the beginning, is active in sales and does the book-keeping. Her love for the customers literally fills the room with a glow. Tim, with a twinkle in his eye, is active in sales, inventory management, shipping, magical arrangement of the shop, and watching that the candy stash is never empty. Angel lovingly waxes and repairs the furniture and makes deliveries. Lucy is our computer whiz, and her magnificent photos grace our website. Wirthmore makes you feel as if you have been to France, so be aware: Wirthmore is addictive! Treat yourself to a visit to our shop in New Orleans, or in the meantime enjoy the Website, and please let us answer any questions you may have.